Arkansas Children's Hospital Research Institute is the only trauma center in the region of Arkansas to treat pediatric trauma, level 1. They treat children from birth age up to twenty-one years. They are affiliated to the University of Arkansas for Medical Sciences. They provide comprehensive set of services regarding outpatient, specialty and even inpatient. The hospital even serves as a teaching facility under the Department of Pediatrics of UAMS College of Medicine. More than five hundred physicians and three thousand support staff offer their valued service in the pediatric hospital. They serve to improve and develop child health and well-being through quality research programs. There are currently 0 consumer reviews about Arkansas Children's Hospital Research Institute, I available. Share your review. Please take a note that you are about to post a public review about Arkansas Children's Hospital Research Institute, I corporate office on CorporateOffice.com. This review will be public, so please do not post any of your personal information on this website. 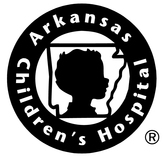 If you would like to contact the corporate offices of Arkansas Children's Hospital Research Institute, I, please use their contact information such as their phone number, website, and address listed above to contact them. However, sometimes staff from Arkansas Children's Hospital Research Institute, I headquarters do read the reviews on this website.